A couple of months ago, when it was still winter-ish in Shanghai, I made a quick jaunt to Taipei for the weekend for some nice sunny weather and good food. 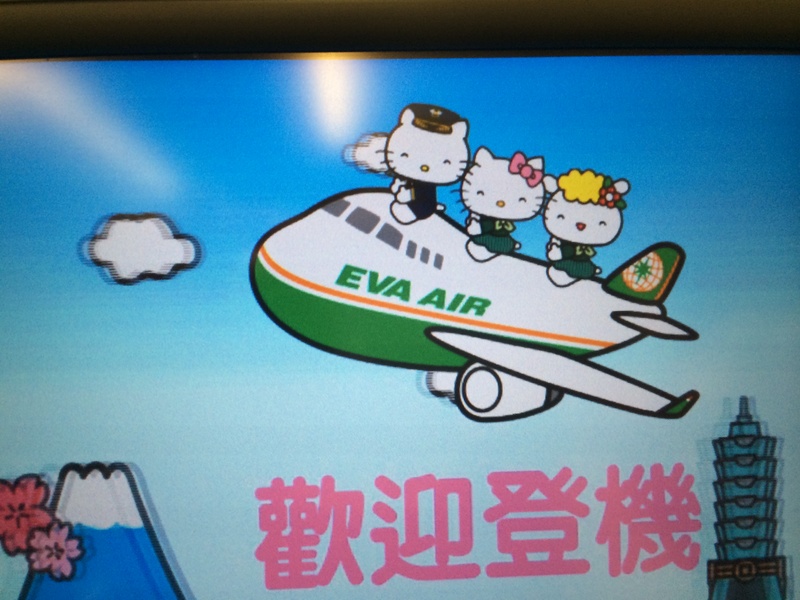 If you aren’t aware, EVA is the national airline of Taiwan. 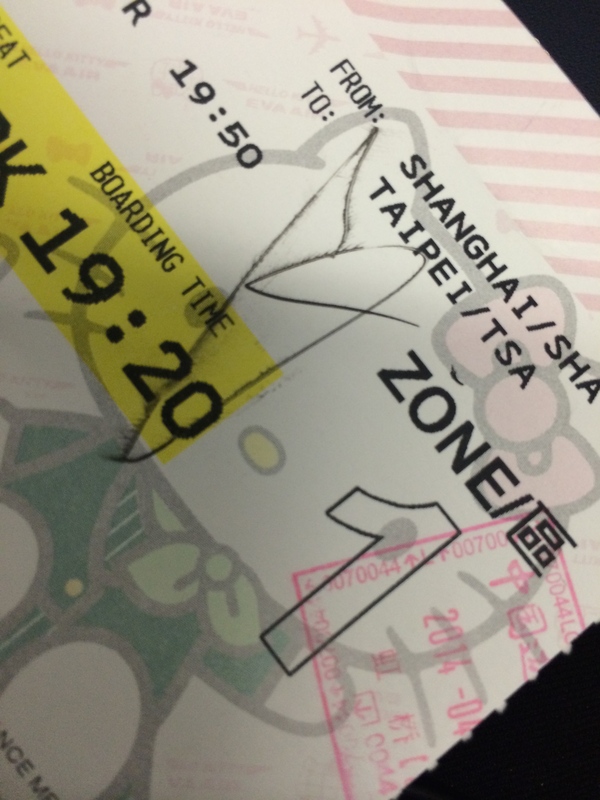 I have flown them before to Taipei, but this was the first time I found myself on the kawaii express to Taipei. 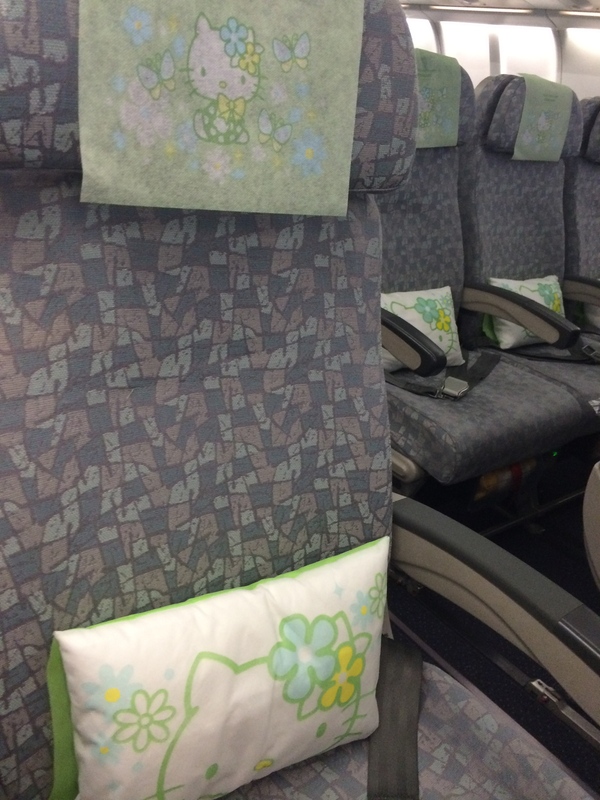 The plane and it’s decor was totally Hello Kitty themed! 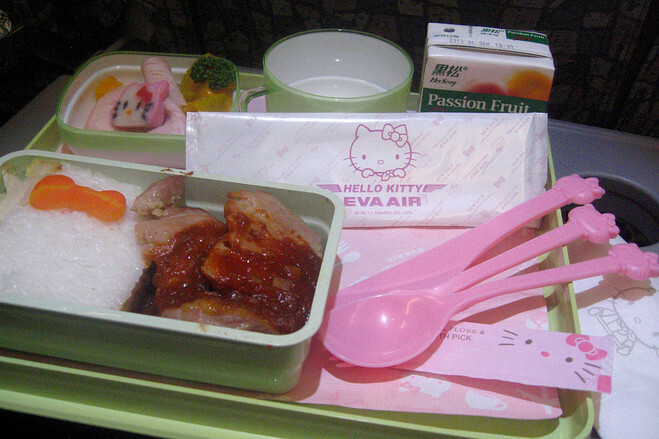 First off, the plane was painted with the Hello Kitty family, as was my boarding pass. This in and of itself wasn’t so strange to me as I have seen ANA’s planes painted with Pokemon. What I didn’t realize though is that the theme is continued through every single aspect of the flying experience! 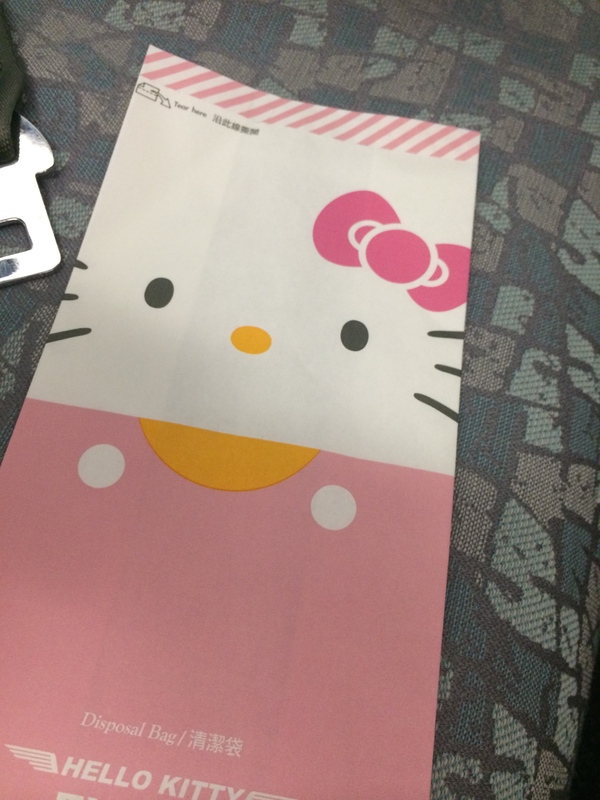 Even the barf bag has Hello Kitty’s cheerful whiskered face! 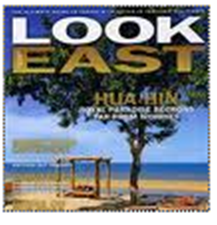 Just one of those funny Asia moments where you find surprise and delight in the least expected places.